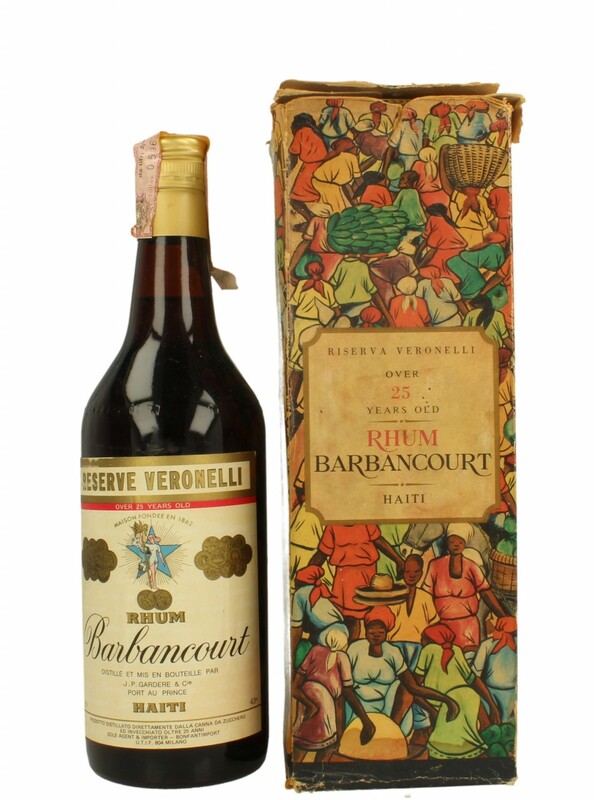 A craft bottling from 1977, made by Luigi Veronelli of Milan, who had visited Haiti and was so impressed with the Big B, he was granted permission to take a few barrels. Outturn 1196 bottles, 43%. Note the age statement…greater than 25 years. One can only sigh with envy. Nowadays, fresh pressed cane juice is no longer used to make Barbancourt rums, but reduced syrup; and the old Charentaise still is gone, replaced by more modern apparatus. 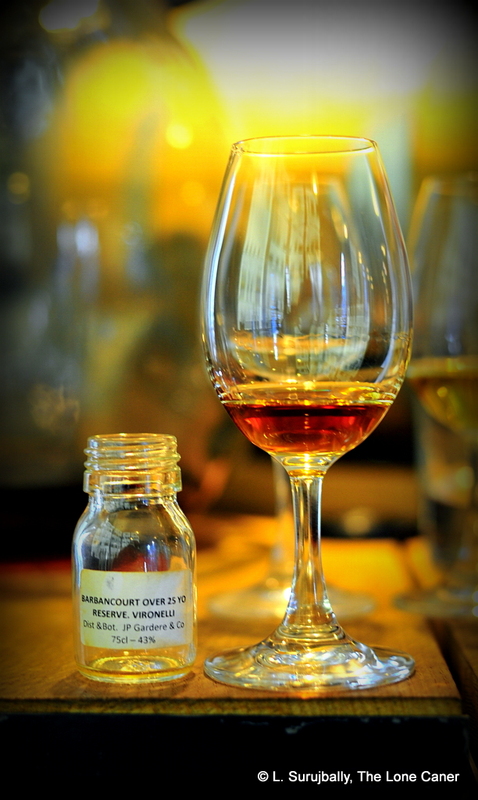 This allows greater volume, but perhaps some of the older taste profile has been sacrificed, as this rum implies. Nose: Rich, very warm, not quite spicy. Nuts, caramel, coconut shavings, black grapes. Faint mint and hot tea. Excellent stuff. Invites further nosing almost as of right. Palate: Medium to light body. Remarkably smooth, wish it had been a bit less thin. Fruity, of the just ripening, sharp kind – grapes, apples just sliced…wtf? Let me check that again. Mmm…yes, it was as I said. Also: the watery clarity of peeled cucumbers (no, really); more tea, some smoke, faint vanilla, toffee, nougat and caramel, but also well melded with more “standard” agricole flavours of grass, green tea. Really goes down well. Perhaps I was wrong, though…let’s try another sip. Nope, still good. Finish: Not too long. Some last smoky, aromatic tobacco notes, a bit of dried fruit. You can help it along with another taste. Perhaps three. A rum this old and this rare deserves to be generously sampled. All in the name of science, of course. 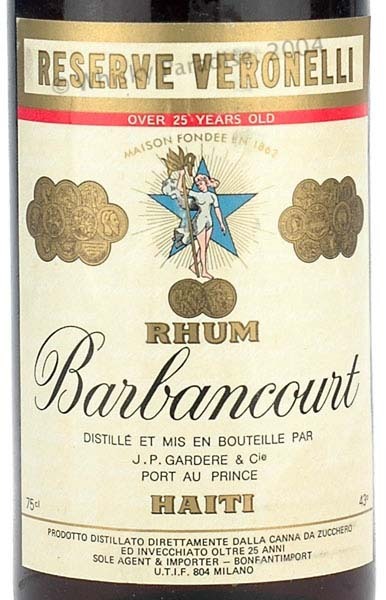 Thoughts: there’s a subterranean voluptuousness, a complex richness coiling inside this rum that I cannot recall from the current stable of Barbancourt’s products, even the 15 year old. Maybe it was the 2010 earthquake that destroyed much of Barbancourt’s old stock; maybe it’s the still; maybe it’s just the history. Whatever the case, I understand why so many Europeans on a grail quest for it.